SNA Nursing Home made in Kerala Traditional Architecture is a well-known name in Hospital industry of Care - Cure Class. 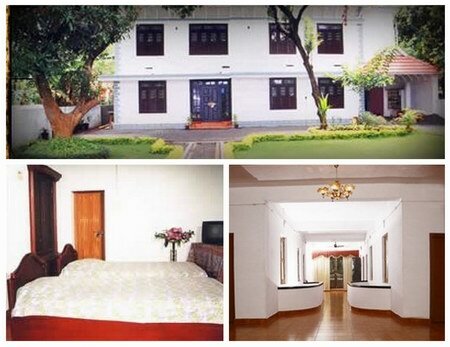 It is in the way side to Thrissur- Palakkad Highway in heart of Thrissur City with a distance of 2 kms from KSRTC and Sakthan Thampuran Bus Stand; 3 kms from Railway Station; 50 kms from Cochin International Airport besides its acceptance as authentic treatment centre received approval of Government of Kerala. It is a Government approved & renowned Ayurvedic treatment center offer Panchakarma treatments in traditional atmosphere with modern facilities. At present it is a referral institute for many physicians and doctors that include patients from Europe and US nationals. As a part of expansion of Ayurveda in worldwide a great demand of all segments are at max where products are at its first. Ayurvedic products export is a fast growing business sector where SNA possess leading position. Many products are been exported to Europe, US and other Middle East countries. This centre aim is to enhance the capability of SNA as a premier institution for research in Ayurveda and constantly strive for excellence in basic and applied knowledge for efficient understanding of the cause and prevention of human diseases and their management. Formulate aims and patterns of research on scientific lines in Ayurveda system of medicine. Formulate textbooks as per the classical approach and in parlance with existing nomenclature of the conventional system. Initiate, develop, encourage and coordinate scientific research in fundamental and applied aspects of Ayurveda. Propagate basic knowledge and experimental measures relating to the cause and prevention of diseases and exchange information with other institutions with similar approach. Promote and assist institutions of research for the study of diseases, their prevention and cure, especially with emphasis for covering the rural population of the country. Born in Alathiyoor Nambi Family, a great lineage of traditional Ayurvedic physician of Kerala. After traditional, education he is the first person to have Institutional Education from Ayurveda College, Kottakkal in 1950s. He underwent education under the great stalwart Ashtavaidyan Kuttanchery Aryan Mooss for more that a decade. Having over 50 years of clinical experience, he served as personal physician to Maharshi Mahesh Yogi for another one decade. Currently he is one of the senior members of Ashtavaidyan Alathiyoor Nambi family and his experience are of high acclaim. Vasudevan Mooss, who is the heir of the renowned Ashtavaidya Family, the Thrissur Thaikat Mooss, graduated in Ayurveda from University of Calicut and had traditional education under Ashtavaidyan P T Narayanan Mooss, Ashtavaidyan Vaidyamadhom Rishikumaran Namboothiri and Vaidya bhooshanam Raghavan Thirumulpad. He is having an experience of more than 15 years in Ayurveda specialized in Ayurvedic Panchakarma procedures. He is also actively involved in various organizations like CII, AMMOI, AMAI, AHMA etc and is an editorial member of “Oushadham” a journal on Ayurveda. Born in traditional Brahmin family, completed Ayurvedic Education from Coimbatore Ayurveda College, working under Ashtavaidyan Alathiyoor Narayanan Nambi Since 2004. Well experienced Medical management of Gynaecological anti – natal & post – natal care. Currently working as Faculty member, Ayurvedic Point (International Ayurvedic Training Institute, Milano, Italy). Dr. Shanti Varma, a well famous Ayurveda practitioner of Kerala with more than 23 years of clinical experience dedicates her knowledge at SNA and consult the patients daily as senior medical officer. She is a member of Poonjaar Kovilakam. She finished her BAMS graduation from Vaidyaratnam Ayurveda College, Ollur after completing the traditional practice of Ayurveda from the family. Dr. Bosco Paul, proficient and benevolent medical officer is available at SNA hospital daily. He completed his BAMS graduation from Vishnu Ayurveda College, Shoranur. He is a known disciple of Ashtavaidyan Vaidyamadom Cheriya Narayanan Namboothiri, Trithala. He is well versed in Rasayana Chikitsa and Therapeutic yoga. Dhara - a method of Kerala special treatment evolved from the genius of the medical tradition here. Many such distinctive and excellent form of treatments, not practised in the other parts of India are conducted by Kerala Physicians. Pizhichil - a procedure developed in Kerala, which gives the effects of both Snehana and Swedana. It is considered as one among the Keraleeya Panchakarma Techniques. Medicated oil is poured onto the body in continuous streams while being gently massaged by four therapists for 45 to 90 minutes. It is extremely soothing and relaxing. It acts as a free radical scavenger, toning, strengthening and deeply rejuvenating the whole body. Abhyangam - A whole body massage with specific herbal oils to nourish and revitalise the body tissues (Dhatus) and to allow the toxins to be removed from the cells. Abhyanga has much deeper and more far reaching effects than an ordinary massage using mineral oils and lotions. Abhyanga achieves deepest healing effects by naturally harmonising body, mind and spirit. This massage is performed symmetrically by two therapists for one hour and is usually followed by a medicated steam bath (Sweda). Kativasthi - In this process specially prepared warm medicated oil is kept over the lower back with herbal paste boundary. This treatment lasts for 45 to 60 minutes. Kizhi - Herbal leaves / powders are applied to the whole body in boluses with hot medicated oils for 45 minutes per day for a period of 7 to 14 days. We supply of efficacious medicines with quality assurance of a GMP certified firm. Packing and labeling can modify to suit your countries regulations. We have the set up to supply the medicines at your soil after meeting all the formalities including cites regulations. We are providing traditional Panchakarma training, therapist training etc., and help to set up Panchakarma centers anywhere in the world by way of guidance and help procure staff, technical equipment if needed. We are providing Internet consultations through you to your special clients whenever needed, Consultation guidance to your clinic doctor for chronic and challenging cases. 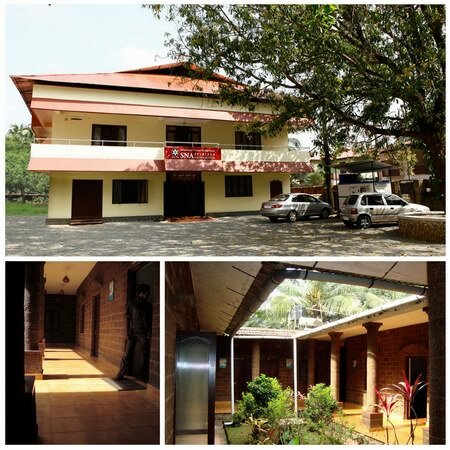 I just visited the deputy chief physician at SNA ayurveda in thrissur. I CANNOT recommend it. I had read a few negative reviews about the staff and treatments. But based on the reputation of Ashtavaidyan Alathiyoor Narayanan Nambi, I wanted to come for his consultation. He was not a nice person and shouted several times during the consultation at me. I tried to remain patient, hoping he would still take the time to look at all of the reports I brought and, with care, help me resolve the issues with panchakarma and/or medicines. At the end, he told me there was nothing he could do. They sent me on my way empty handed and were unwilling to even advise where else to look :( I would not recommend anyone to make a special trip here to consult with the doctor. And I would definitely recommend against pre-booking a stay here for treatment. I'm at least very relieved that I didn't! My wife Geeta & I were treated at SNA in July 2010. We were very satisfied with the treatment and would recommend it highly to others, and are planning to return for further treatment. I just visited the deputy chief physician at SNA ayurveda in ..